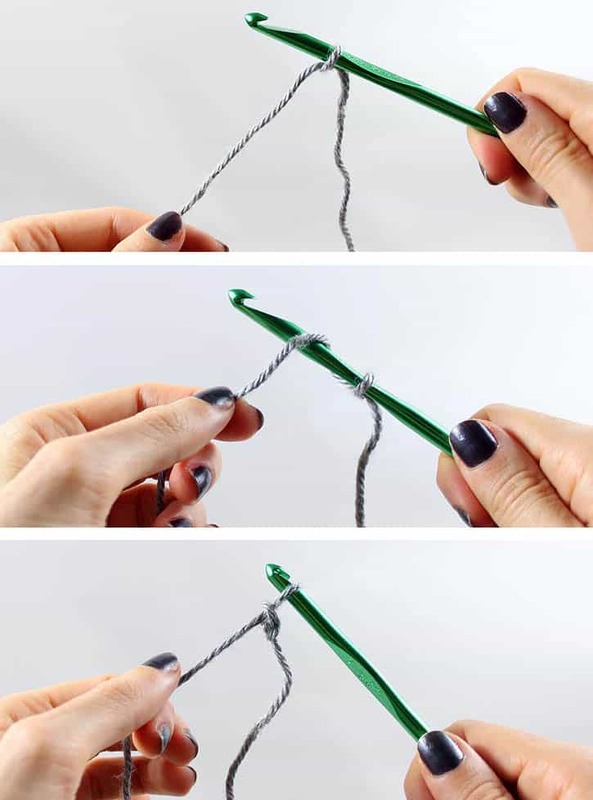 IMPORTANT- Remember to make a single crochet turning chain every time you read the end. This keeps the shape. Otherwise you’ll rectangular scarf will end up looking like a triangle! The scarf is 6 feet long and 20 inches wide. I crocheted the white yarn until it was 5 inches wide, the light grey until it was 7 inches, the charcoal until it was 5 inches and the black until it was 3 inches. I kept my stitches loose so the scarf would have a loose, lace-y texture. Thanks for sharing! This reminds me of the sweet crochet lessons I got from my grandma when I was little! Wow, that scarf looks amazing! I may have to give that a go! Its absolutely gorgeous! I love the colors! i tried to crochet once…and i gave up when i reached my 2nd layer..hahaha. anyway, i'm new here and i absolutely adore your blog…there's so much DIY inspiration here..i can browse for days! This is such an awesome DIY! 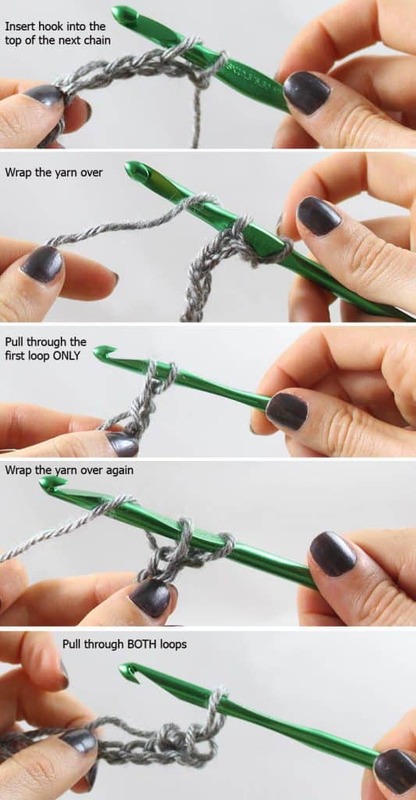 I've never tried crochet before, but you make it look so fab….I definitely wanna give it a go now! Wow, amazing talent. I love the colors you incorporated! Thanks for the post! we really enjoy it! I have a blog post linking back to this page. This is so pretty. I would love to make it. Are you using US or UK terms and is it all one stitch? Once you start the double stitch on the second row do you just continue with the double stitch throughout the process? Yes, that's correct. The rest of the scarf is made using a double crochet stitch. 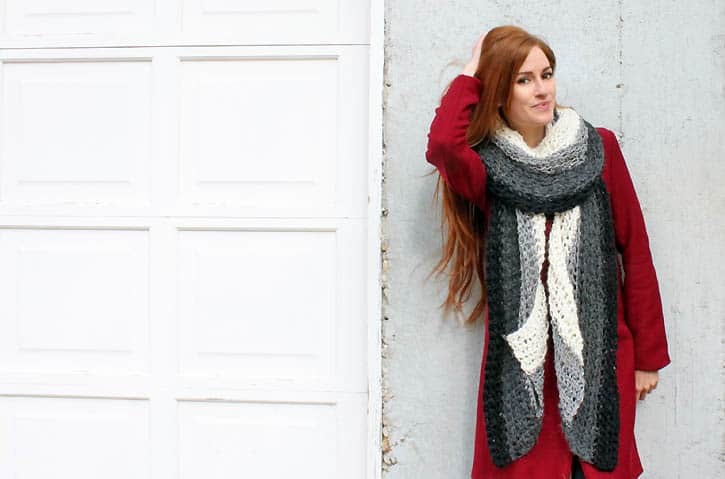 hi, how did you make this scarf? by crocheting the first color until 6ft? or 125 chains? Hi Nadira- The 125 chains loosely crochet ends up being 6 feet. The scarf is knitted lengthwise. The 125 chains (6 ft)are made in the first color (white). You crochet until the pieces measures 5 inches wide. The next color is added by crocheting along the 125 chains. Continue to crochet until the new color is 7 inches wide.